100% of the proceeds when purchased at local high schools returns to that school towards their Be the Change projects. Any additional remaining profits return to SEEDS Connections for increasing opportunities for students from regions across Alberta to participate in the CONNECTIONS program. The actual size of each calendar is 9.25" X 12.25". Please click on the image below to view the calendar. The front cover maple leaf features some of the over 1,100 students who have participated in our CONNECTIONS Program since 2011 and the background shows one of our CONNECTIONS Program presenters, David Thiaw, drumming. Purchase for $10.00 at select high schools across Alberta that have participated in the CONNECTIONS™ Program. Buy at select STAPLES stores across Alberta and at Symons Valley Ranch Farmers' Market. Buy online using the order form, for $10.00 plus $2.00 S&H or choose to pick them up at the SEEDS Connections offices at 309, 223-12th Ave SW to save the shipping. Phone (403) 264-5959. The CONNECTIONS Program is a five credit, high school course that brings together high school students from across the province. Through a variety of CONNECTIONS Program activities, students engage with concepts such as environmental stewardship, empathy for diverse perspectives, multiculturalism, anti-racism and anti-bullying, and collaboratively develop strategies and action plans to take on roles of leadership in schools and communities in which they live. The Alumni leading the Celebrating Alberta's Diversity Charity Calendar project are grade 11 and 12 students, seeking to expand on the diversity and leadership skills gained during their experiences in the CONNECTIONS Program. 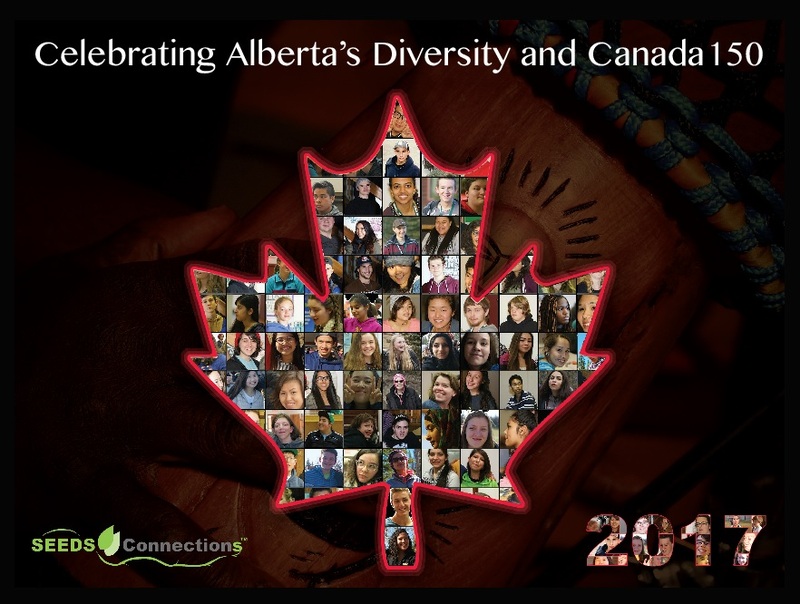 Check out the 2016 Celebrating Alberta's Diversity Calendar here. We invite donations in any amount in order to support our educational programs for youth. Sponsorship levels that enable your company logo to appear on the Calendar vary ($200.00-$1000.00). We will also feature your logo on the Diversity Calendar website. Please feel free to contact us to discuss ways you or your organization can support us. Please make your cheque payable to SEEDS Connections, 309, 223-12th Ave. Calgary, Alberta, T2R 0G9 marked ATTN: Diversity Calendar.